You will certainly fall in love with this magnificent bunch of roses. There are forty tempting roses in pink that promise to warm the hearts of any recipient with aplomb. Resisting this cute bunch will prove to be a tough affair for sure! These roses make for perfect gifts when it comes to special occasions like Valentine's Day. This hamper also includes Cadbury Celebration box which gives a yummy chocolaty treat on valentines day surely delights your specialone. 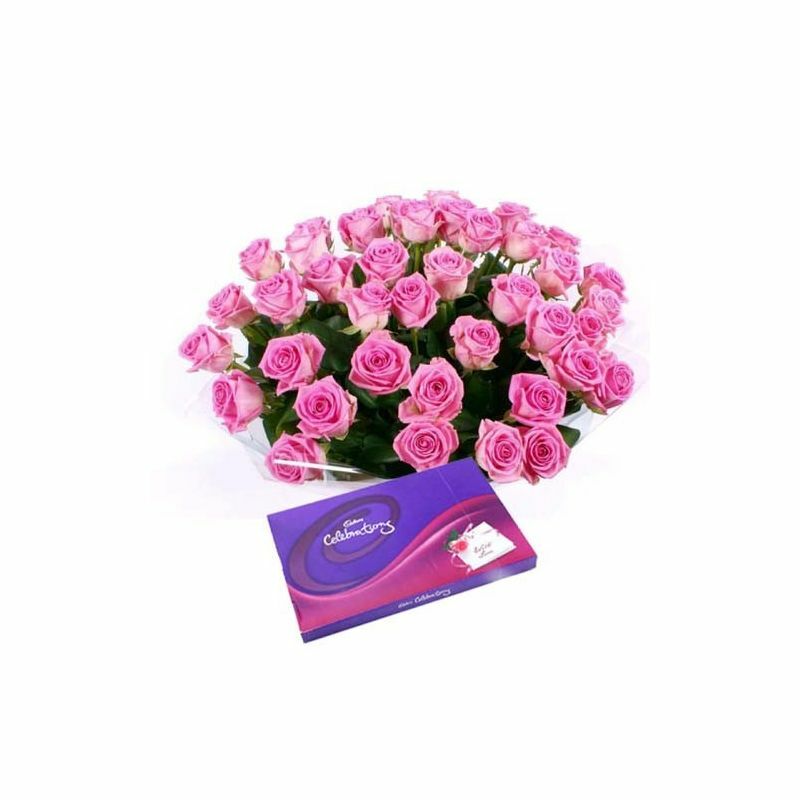 Product Includes : Bunch of 40 Pink Roses and Cadbury Celebration Box (Weight - 125 Gms).